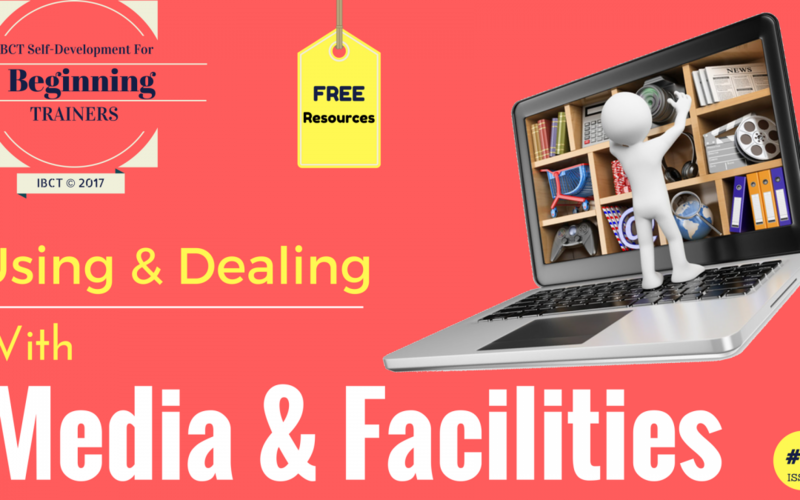 Why using media and facilities are concerned? Novice corporate trainers encounter many delivery difficulties in the first years of their job. The International Board of Certified Trainers has studied the challenges of trainers and compared them with the international standards of professional conduct to identify the main performance gaps. Beginning trainers are concerned about how to use the media and materials effectively, as well as how to take care of the breakdowns that occur in these areas. 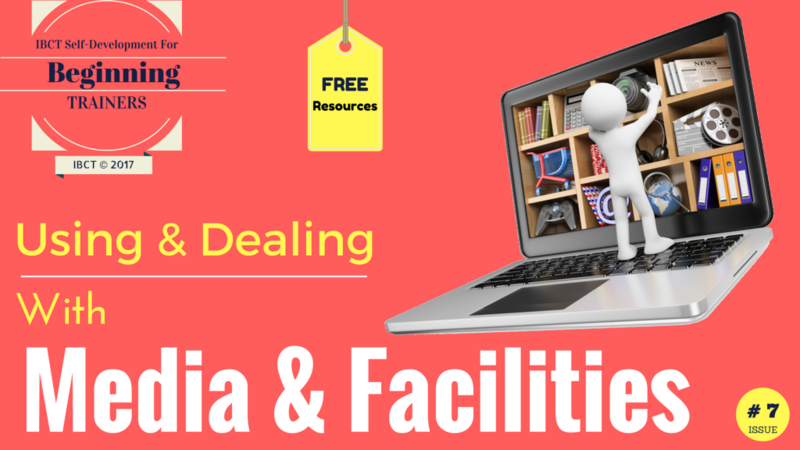 In this post, we reveal a few secrets that senior train-the-trainers use and how they deal professionally with media, materials, and facilities. Also, you should always have a backup. As a professional trainer, you should carry a trainer’s survival kit. This kit contains all kind of materials such as post-it memos, markers, pens, staple machine, tape, aspirins, extension cords, etc. Dr. James has also the information that he is going to present, in another medium, as a backup. First, let’s talk about MEDIA! A senior trainer, you should always familiarize yourself with all equipment. You make sure that you know how to operate every piece of equipment that you are going to use during training. In addition to that, you may ask for assistance! As a seasoned trainer, you should be honest with the group, if there is a major breakdown that you cannot handle, ask for assistance. you might call a technical expert in the center, if available. You always need to be well prepared! Like all experts, you should get all materials ready and placed at each participant’s workplace. Or, stacked for distribution on his desk before the training starts. Then, when trainees enter the room, you are ready to give them your full attention! You must visit the new facility ahead of time, if possible, to check on the layout of the room, and get an idea where things are located, and how to set up all the stuff. Professional trainers, arrive at least one hour in advance, to ensure enough time for setting up and handling problems. Get yourself fully familiar with all training equipment. Make sure to carry the Trainer’s survival kit. Be fully prepared with the training materials beforehand. Ask for technical support for major issues. Visit the training location ahead of time. Arrive at the training room, one hour early, at least.